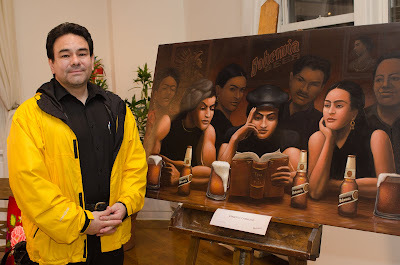 Okay, so two months ago, I got a press release from Heineken-owned Mexican beer Bohemia. They unveiled some new packaging celebrating Frida Kahlo. It was interesting, celebrated an artist, and they did this very cool contest through Facebook (a nice social media campaign) for artists, with a panel that included Kahlo's grand niece and a curator from El Museo del Barrio in New York. Ernesto Camacho, who won first place in that contest. Now, I am a fan of Frida, a fan of celebrating art and artists, and, from my time in Mexico, even a bit a fan of Bohemia. As the big cervezas go, it's right behind Pacifico and Montejo as my order of choice. I was also interested, from a business and branding standpoint, in the effort to market this Mexican beer in the states, using a Mexican artistic icon. They are in some tough territory, but I was intrigued. So I sent an email and asked to have a conversation with some of the creatives behind the packaging. The PR firm, Formulatin, has an interesting niche. I was told to put my questions in written form and send them. So I did. Then I waited. A few days ago, and about a month after I gave up on hearing from them, I got responses to my questions. I wrestled with what to do with them, but I decided to post them, because I think they illustrate why craft drinkers have such skepticism of large macro-owned beers. It's worth pointing out that these are basically unsigned, so I have no idea who wrote them. I've made no changes, but I've italicized some lines I thought were especially valuable. If Formulatin is handling PR, what designer/firm handled the packaging, and what was the process like? We wanted to make sure we captured the essence of both the Bohemia brand and Frida Kahlo, and Design Bridge in UK helped us accomplish this with their design. In order to maintain Bohemia’s inspiration and respect of Mexican folklore, we used hammered gold, metallic cream, and brown tones for the thematic labels which are inspired by the colors of Aztec tradition. We incorporated Mexican symbols, like flowers, hummingbirds and monkeys that are also often found in Kahlo’s artwork. The neck labels of the exclusive 12 oz. bottles prominently and tastefully feature Frida Kahlo’s face and stylized signature. We used a similar motif and color palette for the six-pack carton, however, Kahlo’s image and favorite Mexican icons are placed within a piece of papel picado, a traditional hand-carved tissue paper. The first line of the release said this was in part to celebrate Kahlo's 104th birthday, but your email suggested that was more of a timing element than an inspiration... how did Bohemia decide to focus on Frida for this project? Prior to identifying Frida Kahlo as an appropriate platform, we asked ourselves, “What is Bohemia?” We see it is a “bohemian” brand, one often associated with art and an open mind. 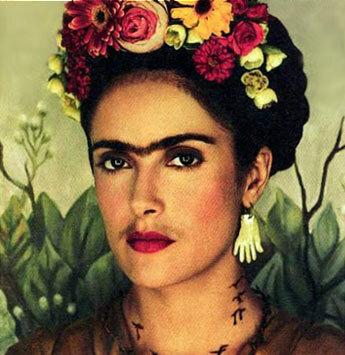 Of course, as a Mexican icon, many of us are fans of Kahlo’s art. In addition, we discovered that Frida, herself, was a fan of our beer, which is evident in a picture of her sitting at a table surrounded by family and enjoying a Bohemia. With this special edition of Bohemia, we toast to her passion for excellence, leadership and her love for Mexico. We launched the packaging in Mexico last year to celebrate the bicentennial anniversary of Independence and after its success, we wanted to allow art and beer connoisseurs in the U.S. to celebrate Frida Kahlo’s legend with us as well. Celebrating an artistic Mexican icon in the United States is an interesting choice. How does it fit within Bohemia's larger US strategy? What do you think is Bohemia's niche within imported beers (perhaps other imported Mexican brands owned by Heineken Intl). Bohemia has tremendous potential among general market consumers who look for a unique taste. Although it is owned by a macro-brewer, Bohemia is made in a Mexican micro-brewery with imported hops from Czechoslovakia. These elements give the beer a craft-like texture, similar to European brews from the region Bohemia is named after. Considering Bohemia celebrates the art of brewing in each bottle, the brand needed to create a platform that reflected this characteristic, while still remaining true to its Mexican heritage. 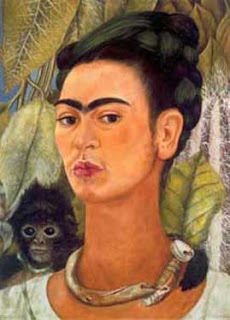 Frida Kahlo is a Mexican icon who was not only unique but was known for her craft. When we found that there was an incredible awareness around the “Frida Kahlo” brand, not only among Hispanics, but across all cultures, it made sense to partner with Frida Kahlo estate. To announce the relationship between the brand and the artist, Bohemia launched the Frida Kahlo Challenge: an art contest searching for the next surrealist artist. The contest lived on Bohemia’s Facebook page, where entries were shared with fans, as well as historical information about Frida and Bohemia. This initiative set the stage to unveil the commemorative packaging, while aligning Bohemia to an art platform. How did Bohemia select the markets where the packaging would be available? 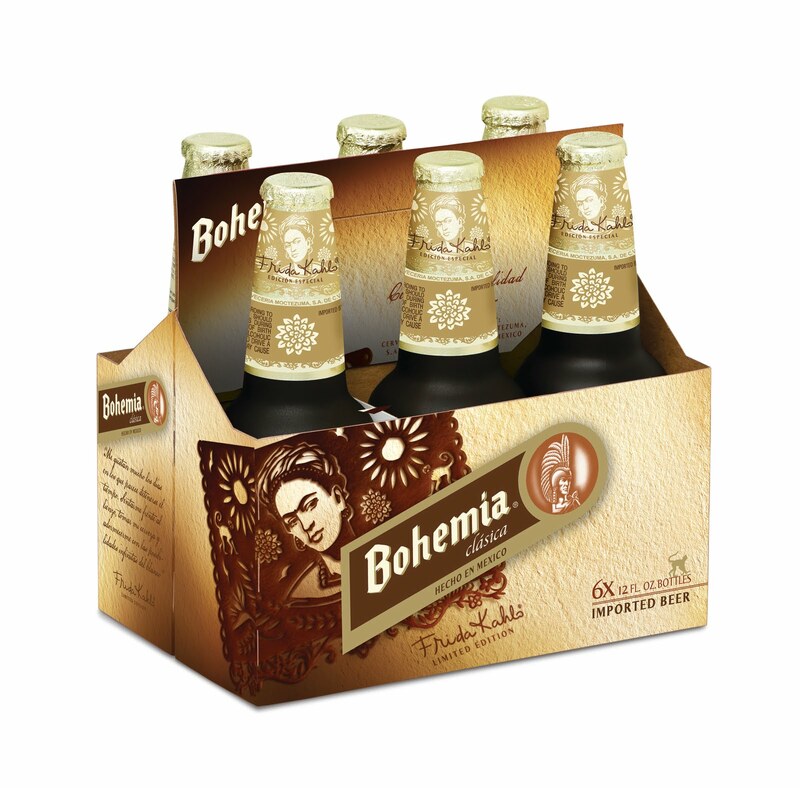 The Bohemia Frida Kahlo packaging will be available throughout key U.S. markets such as Ariz., Calif., Colo., Ill., Nev., N.M., N.Y., Texas and Washington. We are distributing the limited edition bottles in the same markets we currently distribute Bohemia. These markets represent our strongest distribution channels, selected to reach consumers efficiently and give as many people as possible the opportunity to enjoy the beer and its new limited edition packaging. Particularly since my readership is largely a craft beer one: How does a brand like Bohemia walk the line between selling beer and selling packaging (a common criticism of macro-owned beer brands)? More generally, I suppose I'm asking about how a large company looking to grow a brand in the US market tries to maintain authenticity. For Bohemia, it is more than just the packaging. The relationship with the Frida Kahlo estate allows us to bring to life an art platform that is of interest to beer and art aficionados across the nation. More than just primary and secondary packaging, adults 21 and older can obtain booklets at retail locations featuring some of Kahlo’s daily inspirations and illustrations that allow consumers a glimpse into her “bohemian” world. Restaurants and bars will also display Frida thematic table tents, coasters, and specialty glassware. The Frida Kahlo experience was designed not to overshadow or take away from the product itself, but to align with a name that emphasizes the brand’s authentic and unique characteristics. If that read like a long press release to you, you're not alone. There is some good information there, but it's drowning in marketing speak and talking points that, to my eyes, come off glib. And I think this, in and of itself, is actually valuable. I read a post by the great Jack Curtin that asks whether the growth of private label beers and macro-craft labels like Blue Moon is a threat for the industry. And that's a good question, but part of what craft beer people love about craft breweries is the personal connection. Whether it is the feeling that we know the owner from a night in the brewpub, or whether we just feel we know Sam Calagione or Carol Stoudt as ambassadors for our cause, there's a feeling that craft breweries, in general, care about their consumers. Even the rock star large craft brewers talk endlessly about their process and goals and feelings, and we like to believe we can feel the passion. If they do say something we perceive as insincere, we get very offended. Bohemia's firm sent an email to me, I responded, and in so doing I tried to ask interesting questions about strategy and direction. Two months later, the unattributed response I got back tried to convince me that Cervecería Cuauhtémoc-Moctezuma, with it's 3 gigalitres of production (8.5 million barrels) is a microbrewery (that's about twice as large as Sam Adams and Yuengling combined), but more importantly seemed to avoid delving into the nuts and bolts of the process and challenges. I get that this is how marketing reads in the corporate world; I've written stuff just like it. Generally, the mission is to stay positive and upbeat, no matter what, like a politician. But when someone asks you about your niche in the industry, or walking a tightrope of competition in new markets, and you respond with more stuff about your Facebook page and collateral material, that answer's not going to be satisfying. Part of good marketing is understanding your audience, and the people at Bohemia wouldn't be the first to miss the mark when it comes to translating values for a craft beer audience. This is a very cool project, and I think Bohemia and Design Bridge have produced some cool design for it. My guess is the people involved are smart and interesting. But if they're planning to play in the "premium" space in beer, they're going to run into the fact that this market prizes authenticity. Craft drinkers pay for a personal connection, and it's tough to get there with ad copy. I expressed my disappointment to the folks at Formulatin, and I said I'd love to talk with them if they ever want to have a general conversation about marketing Mexican brands to the vast Latino market in the States. Hopefully I'll get a chance to have that talk.